Jacqueline J. Gersbach, 82, of Lehighton, passed away peacefully on Wednesday September 5, 2018. Born in Allentown, Jacqueline was the daughter of the late John and Mary (Kuharick) Kuba. She was married to John E. Gersbach who preceded her in death in 1999. Services will be held on Saturday September 8, 2018 at 1:45 pm in the Kohut Funeral Home, 950 N. Front St. Allentown Pa. 18102. Calling hours will be from 1:00-1:45 pm in the funeral home. Louis Golden, 89, of Whitehall, passed away December 23, 2017. He was the loving husband of 59 years to Lucy M. (Miller) Golden. He was a caring father and friend to many. Born in Allentown, he was the son of the late Louis and Kathryn (Krwaschina) Golden. He served in the U.S. Navy during WWII on the USS Chicago, CA29. Louis was a member of St. Mary’s Ukrainian Orthodox Church and a past vice president of the former Ukrainian American Citizens Club (UKES Club). Survivors: wife- Lucy Golden; sons- Don Golden of Whitehall, Jim Golden and wife Monika of Jupiter, FL; many nieces and nephews. He was predeceased by brothers- Michael, Nicholas and Charlie and sisters- Ann, Mary and Sophie. A viewing will be held Saturday, Dec 30th 9:30-10:30 with a Service to follow at 10:30AM all in Kohut Funeral Home, Inc. 950 N. Front St. Allentown, PA 18102. Burial to follow in St. Mary’s Ukrainian Orthodox Cemetery. Contributions can be made in Louis’s memory to the church care of the funeral home. Helen (Kramer) Getz, 88, of Allentown, passed away November 2, 2017. She was the wife of the late Warren G. Getz. Born in Coplay, she was the daughter of the late Michael Kramer and Mary (Barner) Kramer Yaromy. 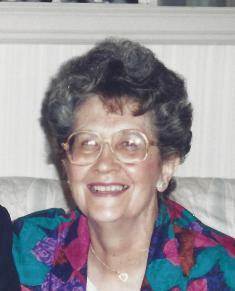 Helen was a member of St. Michael the Archangel Byzantine Catholic Church, Allentown. She loved to spend her time gardening flowers. Survivors: sons- Warren M. Getz and Ronald F. Getz; grandchildren- Tracey Getz, Michael Getz, Ronald E. Getz and Jason Getz; 5 great grandchildren; sisters- Patricia (Yaromy) Benson and Carolyn (Yaromy) Bender. She was predeceased by 2 brothers and 2 sisters. A calling time will be held Tuesday, Nov 7th 10:30-11AM with a Memorial Service at 11AM all in Kohut Funeral Home, Inc. 950 N. Front St. Allentown, PA 18102. Burial to follow in St. Michael’s Cemetery, Whitehall. In lieu of flowers, contributions can be made in Helen’s memory to Sacred Heart & SpiriTrust Lutheran Hospice care of the funeral home. Diane E. (Munjone) Gollinger, 72, of Allentown, passed away August 23, 2017. She was the wife of the late Allan L. Gollinger. Born in Allentown, she was the daughter of the late Sarah V. (Petruska) and Ernest J. Munjone Sr. Diane held various office positions during her time working. She was a member of St. Anne’s Catholic Church in Emmaus and participated in Good Shepherd’s Water Walking class. Survivors: son- Allan J. “AJ” and wife Meg Gollinger; daughter- Sarah E. Gollinger; grandson- Bryan M. Gollinger; brother- Ernest J. Munjone Jr. She was predeceased by her sister- Patricia A. Munjone. A calling time will be held on Friday, Sept. 1st 8:30-9:30AM with a service to follow at 9:30AM all in Kohut Funeral Home, Inc. 950 N. Front St. Allentown, PA 18102. Inurnment to follow in Cedar Hill Memorial Park, Allentown. In lieu of flowers, donations can be made to Four Diamonds (helps Penn State fight childhood cancer) or to St. Jude’s Children’s Research Hospital c/o the funeral home. Anna (Fanok) Gulycz, 91, of North Catasauqua, passed away August 3, 2017 in Whitehall Manor. She was the loving wife of the late Dmytro Gulycz. Born in Ukraine, she was the daughter of the late Petro and Helen (Kemick) Fanok. Anna and her husband were the owner and operators of Metro & John’s Café, North Catasauqua. She was member of St. Marys Ukrainian Orthodox Church. Survivors: Sons- John and wife Louise (Knopf) Gulycz of Whitehall, Michael and wife Charlotte (Henry) Gulycz of North Catasauqua; Daughter- Irene and husband Charles Wehinger of North Catasauqua; 6 Grandchildren; 10 Great Grandchildren; Sister- Kathryn Chodan. She was predeceased by her brother- Michael Fanok. A viewing will be held Monday 9-10AM with a Service at 10AM in Kohut Funeral Home, Inc. 950 N. Front St. Allentown, PA 18102. Burial to follow in St. Mary’s Ukrainian Orthodox Cemetery. Contributions can be made in Anna’s memory to the church care of the funeral home. Marie C. Gersbach, 95, of Allentown, passed away June 15, 2017. Born in Allentown, she was the daughter of the late Robert and Catherine (Miller) Gersbach. She worked for the former Allen Electric, now All Phase Electric for 24 years and Thomas L. Hoffman Co. Inc. for 17 years, as a bookkeeper before her retirement in 1987. She was a member of St. Francis of Assisi Catholic Church. Survivors: Sister-In-Law- Jacqueline Gersbach; Friend- Sharon and husband Kenneth Prockup. She was predeceased by her brothers- John and Joseph. A viewing will be held in church on Wednesday 9:15-9:45AM with Mass of Christian Burial to follow at 10AM all in St. Francis of Assisi Catholic Church 1046 W. Cedar St. Allentown, PA 18102. Burial to follow in Sacred Heart Cemetery, Whitehall. Arrangements care of Kohut Funeral Home, Inc. Contributions can be made in Marie’s memory to the church. Lisa H. Glendenmeyer, 49, of Whitehall, passed away April 4, 2017. Born in Allentown, she was the daughter of Anna (Yonak) and the late Charles Glendenmeyer. Lisa was a spiritual person who loved her cats- Ramona and Roxy. Survivors: Mother; Sister- Debbie and fiancé Dave Naypouer; Brother- Charles S. Glendenmeyer; Uncle- John Yonak and his dog Buddy; Aunt and Godmother- Theresa Yost. Services were held privately for the family. 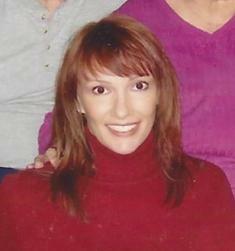 Contributions can be made in Lisa’s memory to the Sanctuary at Haafsville care of Kohut Funeral Home, Inc.
Helen (M.I.) Glass passed away peacefully with members of her family on Monday October 31, 2016. Helen was the daughter of Irene and Julius Glass, both preceding her in death. Born and raised in Bethlehem, she was 80. 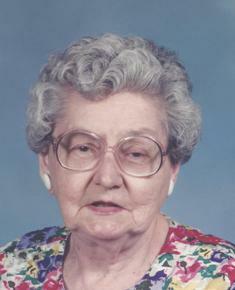 Helen was a 1953 graduate of Bethlehem High School. Soon after graduation Helen enlisted into the U. S. Marines and served honorable in Washington D. C. and Quantico, VA. She was very proud of being a Marine. For several years Helen owned and operated a barber shop in Hawley, PA after attaining her barber license. Her lifelong employment was with Western Electric where she retired. Helen was an independent feisty woman always ready to give a helping hand as a volunteer. She was a significant blood donor and volunteered for years at Miller-Keystone Blood Center. Most recently Helen volunteered for Meals-On-Wheels and delivered meals to the elderly in the Bethlehem and Easton areas. Helen was a devout Catholic and was a member of St. John's Slovak Catholic Church in Allentown, PA where she would volunteer at their monthly breakfast fund raiser. Helen's active life was sustained by her daily four mile walks near the Bethlehem City's recreation parks. One of her favorite bucket list activities was sky diving which she did on several occasions. Helen also loved to walk the beaches in New Jersey and Florida. She will be dearly missed by many. Survivors: Mary Floyd (Niece) William Teel (Nephew) Pat Moyer (Niece) Contributions: Please send any contributions to Meals on Wheels of Lehigh County.